[Links to How-To/Guides on creating your own Fusion drives included in some posts below. (Sponsor) OWC also has a Sept. 2013 blog post on Further Fusion Drive Testing/Benchmarking. Upgraded a 2012 Mac Mini i7 (standard 1TB HDD) with a Fusion drive. I used a flash drive to install OS X 10.8.3, so it saw the "damaged" Fusion drive and fixed it for me. But its quick as heck and works great. Don't remove one of the drives before doing the above or what happened to me might happen to you. I had experimented with FS (do you mean Fusion Drive?) using an SSD that we then built into a caddy replacing the DVD drive of a friend's MacBook. The original HDD was missing from this machine, of course. We then placed another HDD into the MacBook's HDD bay as we wanted to clone it onto the SSD. When Mountain Lion's 10.8.3 installer (image cloned to an external drive) had booted, we wanted to set everything up in Disk Utility. This opened a sheet telling us whether we wanted to repair the FD (Fusion Drive) showing the partitions of the the SSD which it would delete. I am pretty sure it didn't show any other partitions. I clicked "Repair" instead of "Ignore" and Disk Utility happily killed the HDD's partitions that we wanted to clone over thus recreating an empty FD setup and nuking the data. And best of all: the latest Time Machine backup was many months old. This caused a lot of merriment as you can probably imagine! There seems to be a general notion that you have to use an entire SSD for a Fusion Drive. This is absolutely NOT the case! "disk0" is an SSD and "disk1" is an HDD. I did this mainly to keep my OS partition separate from my data Fusion Drive. The OS resides entirely on the SSD. In the event of a problem with the FD, I still have a bare bones working system and can even restore from there. This also means that you can pre-partition your media in any way you like. Theoretically you could even create two parallel Fusion Drives on the same media if you want to separate your data that way. I have not tried that last bit, though. Another use might be to install Bootcamp beforehand and add the Fusion Drive later. Please remember that some Windows setups can only deal correctly with MBR and thus limit the amount of partitions that they can see. This last issue is worsened by the fact that setting up an FD will insert additional "Apple_Boot" (134.2 MB) partitions (named "Boot OS X") towards the end of both of the "Apple_CoreStorage" partitions and the ML install did something similar for my OS partition: "Apple_Boot Recovery HD" (650.0 MB). And don�t forget about the EFI partition! This means one thing: a lot of partitions. I will clear this forest of partitions the next time I do a complete backup and restore, but it works well for now despite all that clutter. My experience in DIY Fusion Drives in Late 2011 MacBook Pro. Started with JullyJinx instructions via terminal and put in CoreStorage an Intel 320 Series 120GB SSD with a Seagate 750GB 7200 RPM standard HD. Everything went fine. No way to have Bootcamp. I then changed the Seagate 750GB with a Seagate Momentus 750GB hybrid HD (750GB standard plate HD + 8 Gbyte NAND "SSD"). Error during making DIY via terminal. Maybe the hybrid is not well accepted. Back to standard 750. Then changed both SSD (to Intel 520 series 120GB) and HD (to Seagate 1TB 5400 RPM). Everything OK, still no Bootcamp. Then changed to 240GB Intel 520 series SSD. Very long time to initialize the SSD for building DIY via terminal. Used Techtool Pro to zero out the SSD. It became faster and built my Fusion HD with the Seagate 1TB 5400 RPM HD. Upgraded to OS X 10.8.3. 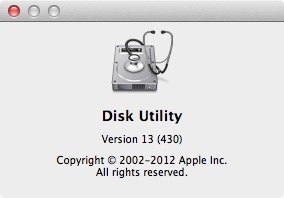 Thought to find Fusion GUI interface in Disk Utility but not so. Rebuilt my Fusion HD (with the 240GB Intel 520 series SSD - to be zeroed with TTPro, otherwise is very very very slow) and my Seagate 1TB 5400 RPM HD. Didn't try with the hybrid Seagate 750GB Momentus XT. Surprisingly I found out I was able to have my Bootcamp partition built, extra Windows drivers downloaded but... no way to install Windows 7: it seems to boot from the DVD (I tried three different original DVDs) but the installer doesn't start. Thought the problem was in my 16 Gbyte RAM. Downgraded to 4 but nothing changed. Now: Fusion HD OK, Bootcamp partition is there, Windows 7 doesn't install (neither 32 bit or 64 bit version). Sponsor OWC has a blog post titled OS X 10.8.3 provides Fusion Drive Setup Option For Non-Fusion Drive Equipped Macs. I finally decided to try creating a Fusion Drive on my Mac Pro (Early 2008). It's an 8 core 2.8GHz Intel Xeon with 10GB of RAM. I have a 1TB hard drive and purchased a 128GB SSD PCI card from OWC using the links on your site. (120GB Accelsior SSD PCIe card?) I cloned my drive and followed their Terminal instructions which worked fine. After restoring all my data, my computer boots up and performs so much faster! Typical startup time from the startup chime until the login window appears used to be between 51 and 60 seconds. With the Fusion drive it boots up between 16 to 17 seconds! I just updated to 10.8.3 and tested again to see it boots in 15 seconds flat now! Overall performance is improved from launching apps to compiling code. So far I'm very happy with this upgrade. Here are some caveats I've encountered along the way. I found I had lost my recovery partition even after reinstalling 10.8. I found proper instructions with Carbon Copy Cloner which meant I had to reformat everything and start all over in order to keep a recovery partition available on the 1TB hard drive. That's all taken care of now and it works fine. The only other issue is Boot Camp 5.0.2 won't allow me to click past continue. The window just sits there and won't go past the introduction screen. I can't repartition, even with the updated Disk Utility version 13 (build 444). So there doesn't seem to be a way for me to partition for Windows given that I have a Fusion Drive on an older unsupported configuration. Oh well at least I still have Parallels working fine. That's all for now. Let me know if you have any questions. "Do computers that come with a Fusion Drive support Boot Camp? (Apple has a separate Boot Camp: FAQ about installing Windows 8 doc.-Mike)"
If anyone has a suggestion or tip for this reader's problem, send a note. TIA. "Just an update on doing this on an older Mac Pro 2008. I started with my current system that had 4 hard drives in the system. I had two 500gig drives in a raid as my boot drive - these were in drive bay 3 and 4. The problem with this is that OS X (I'm running 10.8.2) can't create a recovery partition on a raid array. Fortunately I never needed it. I also had two 1TB drives in a raid for all my data. These were in drive bays 1 and 2. I purchased a SAMSUNG 840 Pro Series 2.5" 256GB Internal Solid State Drive and a Seagate Barracuda 3TB drive. I took out the two drives from bay 1 and 2 replacing them with the SSD and the 3TB drives. booted back up and followed your (OWC's) procedure for creating the Fusion Drive. I used text edit to copy and paste the Core Storage Logical Volume Group information. I had to go into disk utility after that and fix disk permissions before it showed up on the desktop. All I had to do after that was to re-download Mountain Lion from the App store, run it and install on the Fusion Drive. During that process I had it migrate everything over from the raid array startup volume I originally had. Once that was complete, I pulled out the two 500 gig drives from bay 3 and 4, replacing them with the two 1TB drives I had my data raid on, and I was back to normal. I wasn't actually sure that would work but it did! I have not run speed tests but the system is noticeably faster and boots up much quicker. Thanks for keeping this site up. I have read it for a long time and check it a couple times a week. In this case, the SSD (240 GB OCZ Vertex Plus R2: about 248 GB according to "diskutil list") is installed in the HDD bay and the HDD (750 GB WD Scorpio Black) is installed in the optical drive bay using an OWC Data Doubler. The MacBookPro6,2 only has a SATA II interface, so a SATA III SSD was unnecessary, also the Vertex Plus R2 was on special offer and has very good specifications. The Scorpio Black is also SATA II (but generally benchmarks well: there's no point in having a dog-slow HDD as second-tier store, because at some point you *will* have to access it). The boot disk during the operation was a 32 GB Integral USB flash drive. I used Disk Utility to format both drives, then followed the instructions to create a fusion drive on the OWC site. One advantage of this is that I was able (prior to creating the Fusion Drive, but after formatting with Disk Utility) to use Carbon Copy Cloner to add an OS X Recovery HD partition to the HDD, which remained untouched during the creation of the Fusion Drive. The createVolume stage subsequently passed off without problem, and the previous internal HDD (500 GB Seagate Momentus, mounted in an external FW 400 enclosure) was used to restore the system. Monitoring the restore using iostat in Terminal showed the SSD filling up until a bit over 240 GB of data had been copied, when the system switched over to writing to the HDD. Towards the end of the restore, once my X11 installation was being copied, the SSD again became active, so the system is presumably locating "system" files on the SSD. Even after the restore finished, there was activity (visible with iostat) on both the SSD and HDD: presumably the system is shuffling files between the two drives according to some internal logic in order to optimise performance. The machine has been up a few hours, and I have had no problems. Disk-intensive activity such as LaTeX compilation is blisteringly fast (easily equal to my mid-2012 MacBook Air with the 256 GB SSD). Notes on a DIY Fusion drive in a Mac Pro, using info from the original article Fusion drive in older Macs? YES! I did a clean 10.8.2 install on the Fusion Drive, booted from it, did some updates and played with it for an hour or so, everything seems to work fine. Since my disk is fresh I do not know if you can actually repair a fusion drive when it becomes corrupt, but Disk Utility seems to work on it like on a normal disk: repair permissions, repair disk, it is all there and works. I think the Fusion option (capability) exists in 10.8.x, but only with the arrival of the new iMac and Mac mini did Apple add it to Disk Utility. One more thing I tried on the Fusion Drive: FileVault 2: I switched on FileVault, the Mac rebooted, started with the FileVault-login-screen and I logged on. At this moment it is encrypting the disk while I'm working on it. The FileVault-encryption finished, everything still works fine. Hi Mike, I followed the manual from Patrick Stein and was able to create a fusion drive from a 60GB Vertex 2 SSD and a 1TB Seagate ST310005 in my Mac Pro 2010 (2.8 GHz). Both drives are internal (bay 2 and 3). I did not check the performance, I only wanted to know it is possible to create one. It is possible to create a 'Fusion Drive' on "older" Mac's as Patrick suggested. I can Verify or Repair the fusion-disk. Verify and Repair volume "fusion"
The volume 3A4CCFCE-8574-4DD9-82A2-124E994A08C8 appears to be OK. Checking file systemChecking Journaled HFS Plus volume. The volume fusion appears to be OK.
Volume repair complete.Updating boot support partitions for the volume as required. So it looks like all the functionality for a fusion disk is in the standard Disk Utility 10.8.2, except for the actual creation of a fusion-disk. I've had a DIY Fusion Drive for a few days now. Previously, I had my OS/Apps on an OWC Mercury Extreme Pro SSD 60GB and my user folder on a Hitachi Deskstar 2TB (HDS723020BLA642), in my Mid 2010 i7 27" iMac. That's worked well for over a year, but there were a couple of inconveniences to do with the non-standard location of my home folder. The main one was to use FileVault2, I had to login with an empty account, decrypt the Hitachi, then login to my user. (Not normal) I saw this Fusion Drive as a way to get the benefit (and more!) of my two drive setup, and return to a standard layout as far as my home-directory. To get started, I made sure my time machine backup was in good shape, then booted from a USB drive, then followed the jollyjinx guide. It was really easy. I restored from time machine to the new Fusion Drive partition, and noticed using iostat, that yes, it wrote first to the SSD, then the Hitachi. I enabled FileVault2 and have been using it since. I can't really say that I notice subjectively better performance, but it isn't worse either. Maybe it will take a while to figure out which files should be on the ssd. If anyone else tries a DIY Fusion drive I'd welcome your feedback, benchmarks, pros/cons, etc. For other articles on DIY upgrades (including CPU Upgrades), see the Mac mods/upgrades page, Video Topics page and Storage Topics page.